This easy knitting pom pom maker set includes three plastic looms and easy-to-follow instructions for making your own yarn pom poms. 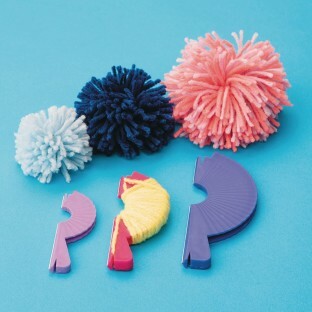 Each set includes looms for making 1-1/2", 2" and 3" finished pom poms. 3 looms per package in assorted colors.